Looking for the best mobile casinos with official apps to play real money roulette? We take a look at the safest to download and install on your Android, iPhone, iPad, Samsung or other modern smartphone and tablet devices. One critical factor when playing roulette on mobile or desktop is the variant you play. The American version is set up with one green ‘zero’ and one green ‘double zero’, while the European version (and its French counterpart) uses only a single green ‘zero’. This small difference makes for a large difference in player odds and house edge – a 2.7 per cent casino edge for European games, and a 5.26 per cent casino edge for U.S. variants, to be exact, and as an informed gambler, you should never play at a ‘double zero’ table. But this can often be difficult for recreational and lower-stake players within the walls of an Australian land-based casino, because all low-limit tables use the American roulette wheel layout, and the higher-limit tables are reserved for European variants (often a minimum inside wager of $5 and an outside minimum bet of $10). So where does that leave the casual punter wishing to keep his expenditure to a minimum? Real money online casinos offer European roulette games with minimum inside wagers as low as $0.50. 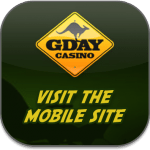 But further to that, each Internet gambling website we endorse here at OnlineCasinoSites.com owns roulette apps for smartphones and tablets which Australians can legally access and use to play high-quality and graphically-advanced European and French games of roulette for low and high betting limits. 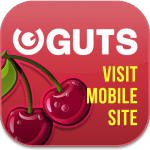 Tap on any of the following online casino sites from your mobile or tablet device and the official app will start downloading to your device, or you’ll be taken directly to the fully-fledged mobile browser gaming platforms (if the site doesn’t have an app) where you can register an account and start playing roulette for real money. While each of the mobile app sites are accessed through your Web browsers (such as Safari, Google Chrome and Internet Explorer), to create a convenient Web application, all you need to do is access your in-browser settings, navigate to ‘add to home screen’, name the app and then tap create. Your newly created Web app will now pop up on your main home screen interface and you can enter the casino directly, bypassing the Internet and typing in any URLs. A Web app, unlike a market application, uses formatting language such as HTML5 and Flash technology and is built for compatibility across all data-enabled devices, so it does not require different software for difference operating systems. It also never requires manual updates, as the graphically-advanced software is processed via the Internet and updates occur automatically across all active Web applications. 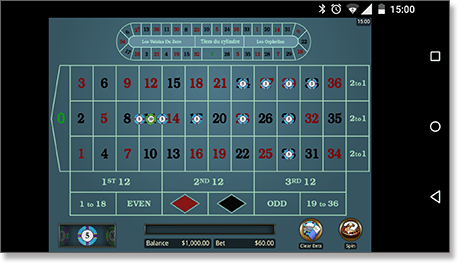 Note: You can create the Web app from within the mobile browser casino interface, and this will make an icon which accesses the entire lobby of games, or you can enter your desired roulette title and create the Web app from within the actual gaming interface, so you’ll have made a roulette-only application. Prefer a native/market roulette application? 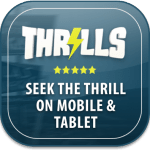 – some players prefer to access their roulette games via a stable market app which gets directly installed on their device. If you are one of these players, we recommend downloading the Regal Vegas Casino app (Royal Vegas’ dedicated native application) which hosts multiple real money roulette titles, including European Roulette Gold. With 100+ casino games, if you get tired of roulette, you can enjoy blackjack, the pokies and video poker, too. Within each of our endorsed casino and roulette applications, the banking/cashier section is easily accessed and you can make secure deposits and withdrawals directly from your mobile or tab device. All transactions are protected wit a minimum of 128-bit SSL digital encryption technology, and available AUD-friendly banking options include MasterCard and Visa credit and debit cards, e-wallets such as Neteller and Skrill, pre-paid cards like Ukash and direct wire transfers, too. Players can also access the bonus and promotions, user account and support sections within the casino app interfaces of each of our recommended sites. 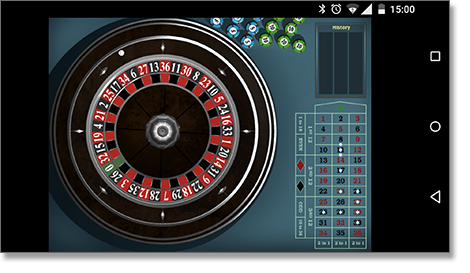 Within the roulette game, players can change their wager sizes, utilise French Calls bets, use the re-bet feature, check spin history, turn sounds on and off and access other useful features. More importantly, each company is licensed by their respective gaming commission and is regulated by independent testing agencies such as eCOGRA, which ensure player fairness and interactive gambling standards are met. 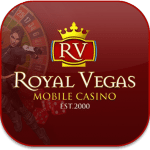 Download the Royal Vegas app on Android or iOS devices and get access to the best roulette mobile casino on the Internet.